The HBO comedy Crashing is headed back to HBO for a third season. The series, created by and starring comedian Pete Holmes, will return Sunday, January 20. The series famously draws on Holmes’ own experiences as a comedian, providing a nuanced, hilarious look at the state of comedy today. The series is executive produced by Holmes, Judd Apatow (Girls, The Zen Diaries of Garry Shandling), Judah Miller (Playing House) and Igor Srubshchik (Master of None). 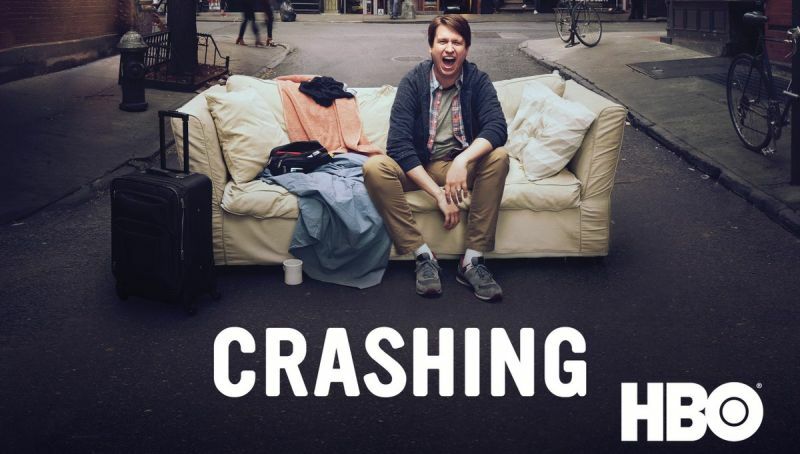 Series veterans featured on season three of Crashing include: Lauren Lapkus (Animals) as Pete’s ex-wife, Jessica; George Basil (Wrecked) as Leif, Jessica’s former lover; Jamie Lee (Girl Code) as Ali Reissen, a fellow comic and former love interest; Zach Cherry (You) as Pete’s manager, who goes by Chicken Wing; Dov Davidoff (Shades of Blue) as Jason; Jermaine Fowler (Superior Donuts) as Russell; and Aparna Nancherla (BoJack Horseman) as Anaya. Madeline Wise (Peacekeepers) joins the series in the recurring role of Kat, an outgoing city girl who inspires Pete to get serious about his career. The post Pete Holmes’ Crashing Returns to HBO for Season 3 this January appeared first on ComingSoon.net.